Vitamin D may decrease your colorectal cancer risk, but you may not be getting enough- especially if you’re as sun-savvy as you should be! Vitamin D is found in very few foods in nature, but it’s readily available in the sky! Exposure to sunlight, without sunscreen, causes your skin to synthesize the vitamin. It is essential for calcium absorption and for aiding in the regulation of cell replication, which goes awry in cancerous cells. Healthy men and women between 19 and 50 years old are recommended to take in 5mcg (200IU) of Vitamin D per day. Those between the ages of 50 and 70 are recommended to take in 10mcg (400IU) per day. For reference, the average North American daily diet is thought to include about 100IU. For more information, we suggest the USA’s National Institute of Health’s Dietary Supplement Fact Sheet. If you’re being careful about the sun to decrease your skin cancer risk, how do you ensure that you’re getting enough Vitamin D to decrease your colorectal cancer risk? Though sun exposure is an efficient source of Vitamin D synthesis, there are a number of diestary options. Fatty fish are a decent source, and include catfish, salmon, and tuna, and the vitamin is also naturally found in egg yolks. Mushrooms are thought to be the only naturally-occurring vegan source of Vitamin D- and like humans, they need UV exposure in order to synthesize it. Of course, an average multivitamin contains nearly 100% of your recommended daily intake, and separate Vitamin D supplements are also widely available on the market. As always, we recommend talking to your physician or your pharmacist before introducing any supplement! Click here to read about mushrooms and Vitamin D2 formation in a study published in the Journal of Agricultural and Food Chemistry. Click here to read an LA Times article about mushrooms and UV exposure. After the cut, enjoy a delicious recipe from user yongfook at Nibbledish. With salmon and mushrooms, this dish is twice as nice for your Vitamin D intake! 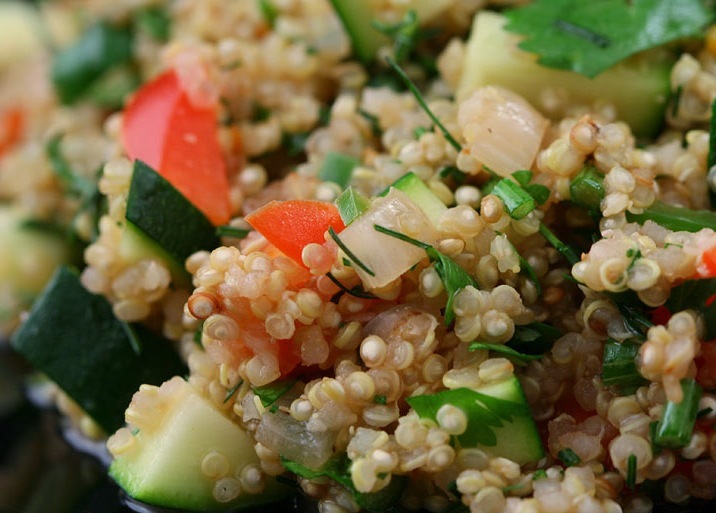 Quinoa is getting quite a lot of press these days, but it’s not new on the health food scene. This grain-like crop was harvested for its tasty seeds in the Andean region of South America. The Incas believed that the crop was sacred, so you know it’s gotta be good. Many modern-day quinoa connoisseurs (quinoisseurs?) enjoy it as a healthier alternative to white rice, and find it just as versatile. Nutritionally, quinoa packs quite the punch. Besides being high in protein (12 – 18%), it is also fan excellent source of the dietary fibre your colon needs, in addition to being high in minerals and essential amino acids not found in rice or wheat. What’s more, quinoa is gluten-free and is considered easy to digest. Read on for a homey, healthy meatloaf recipe that uses protein-rich quinoa and cuts fat with lean turkey. The CCAC encourages you to try levitra professional healthier, colon-smart alternatives to your favourite comfort foods whenever possible! 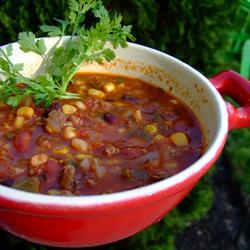 The star of today’s colon-healthy recipe is the bountiful bean. Beans (and other legumes) may seem like humble foods, but they’re versatile, inexpensive, packed with vegetable fibre and they have a low glycemic index, which means you’re blood sugar levels won’t spike too quickly after consumption. That’s good news for your heart, too! This recipe also uses lean ground turkey instead of beef, and you can add your favourite veggies for an extra dose of fibre. Say it with salmon. Have you had your Omega-3 dose today? And there’s your small science lesson for the day. The good news (nay, delicious news) is that fish containing high levels of colon-healthy Omega-3s are a very versatile addition to your diet. 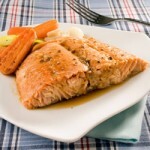 The recipe below (from allrecipes.com) is fast enough for a busy weekday night and elegant enough for a weekend meal with friends. Why not teach someone you love about the importance of cancer screening over a healthy meal? I think that this would make very tasty leftovers! A much healthier lunch than your standard foodcourt fare. We were alerted to this story by Beating Bowel Cancer (UK) on Twitter. Click here to follow us! A study suggests that besides being rich in cancer-preventing antioxidants and vitamins, the blueberry can help protect against a range of intestinal diseases such as ulcerative colitis, a type of inflammatory bowel disease. Their findings suggest that the blueberry’s protective benefits are most effective when eaten together with probiotics, tadalis for sale, like those found in yogurt. As if we need an excuse to eat more of these bursting-with-flavour berries! If you need an extra little push, here are two recipes we can’t wait to try out. 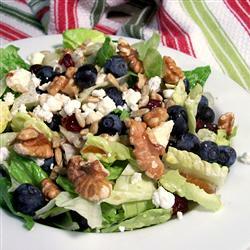 Toss the romaine lettuce, blueberries, dried cranberries, sunflower seeds, walnut pieces, feta cheese, and goat cheese in a large bowl. Pour the vinegar, syrup, and grapeseed oil over the salad one at a time; toss until evenly coated. Season with salt and pepper, if desired. 1 1/2 cups thawed whipped dessert topping or homemade whipped cream, divided. Beat cream cheese with mixer until creamy. Gradually beat in milk. Add dry pudding mix; mix well. Whisk in 1 cup whipped topping. Layer half each of wafers, berries and pudding mixture in 8 parfait glasses. Repeat layers. Do blueberries remind you of something? How about Wear Blue Day on March 1 2th? Read the full article on the blueberry’s digestive health properties at Telegraph.co.uk. Follow us on Twitter for daily updates, and follow our friends from across the pond, Beating Bowel Cancer, for even more tips on beating colorectal cancer globally! 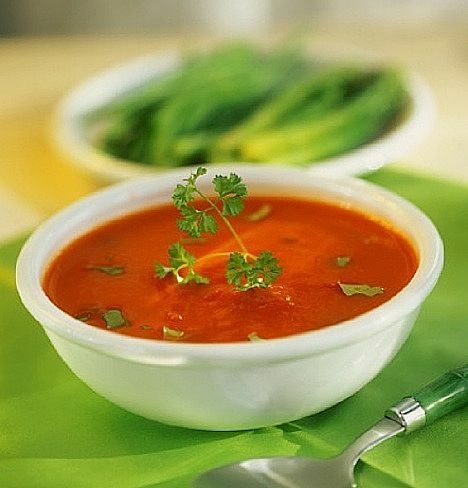 Lycopene is a red pigment found in tomatoes and other such red colored produce such as watermelon, strawberries, guava, apricots, papaya and pink grape fruit. Recently, its effects have been shown to decrease the risk of developing colorectal cancer (Tang et al 2008). It has been shown to inhibit colorectal cancer cells by suppressing an important signaling pathway that enables cancer cells to grow and survive. The humble but lycopene-rich tomato is the star of today’s simple recipe. 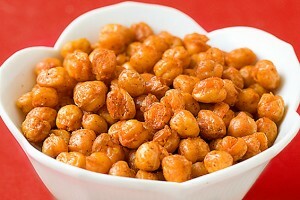 What a healthy, tasty addition to your cancer prevention diet! Another benefit of this scarlet soup is a much lower salt content than the canned variety. If you’re concerned about losing the tomato’s healthful effects during the cooking process, fear not: cooked tomatoes may be better sources of bioavailable (able to be absorbed) lycopene than fresh tomato products. This is thought to be due to the breakdown of cell walls during processing and the presence of small amounts of fat (G’artner et al 1997). Now on to the recipe, courtesy of allrecipes.com! Garnish however you like! I’ll be boosting my daily calcium level with a sprinkling of shredded cheese, or adding some fibre with crushed multigrain tortilla chips. 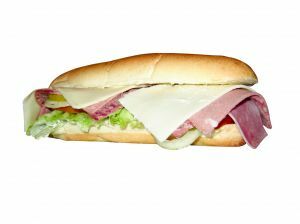 You can read about many of the CCAC’s nutrition guidelines here. For more information about lycopene, the American Cancer has a great, easy-to-understand info page.